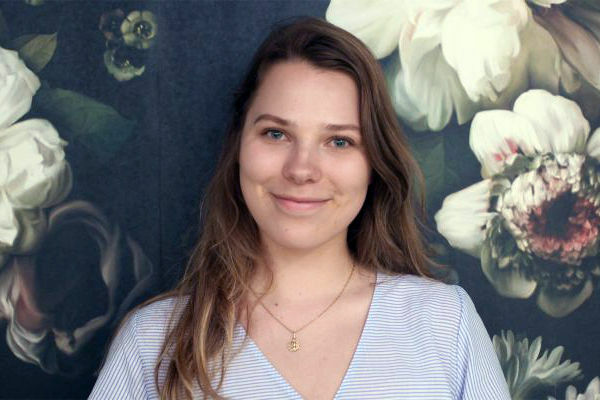 On her second-last day of class, Bachelor of Arts student Karolina caught up with us to chat about making the most of her degree and her next steps. What were your majors and why? I double-majored in media and communications and sociology. I have always been interested in media communications, but thought a double major would be beneficial. After a few classes I decided to take on sociology because it gave me an understanding of individuals and how they interact in societies, as well as the differences between societies. The broader context was complementary to my media communications major and I found each further influenced my understanding of the other. I can't decide between my projects this semester as they have all been highlights! I am more confident in choosing my own essay topics and willing to explore unusual case studies. Right now, in the subject Media Futures and New Technologies I am writing an essay connecting the future of media with biometric passports. The subject has helped me reconsider what the industry will look like. Who is your favourite academic? I have really enjoyed Wonsun Shin, my lecturer for Marketing Communications. The classes have been super practical and given great insight into working in industry as a professional. What has been a highlight of your degree? Study abroad in New York was a highlight. I have always wanted to go there and experience it for myself. I applied via Melbourne Global Mobility for Barnard College which is part of Columbia University, where the University of Melbourne has an approved partnership program with. You have taken on two internships this year. How did you find them? I wanted to be proactive in my first year and add experience to my CV. I volunteered at Supergraph Festival, a contemporary graphic design and art fair in Melbourne. I made a great connection with the co-ordinator there who worked on the Virgin Australia Melbourne Fashion Festival where I helped back/front-of-house on shoots and gained exposure in the fashion industry. I was always interested in fashion so I made the most of that opportunity, working late and staying back to network and gain better insight. Afterwards, they asked me to come back for other fashion festivals where I was trained for paid positions: co-ordinating fittings, runways and styling for e-commerce shoots. The connections helped me when I started my first internship this year with Christine Centenera on her personal projects while I was in New York from January to March. I applied through Free Fashion Interships and on my second day in New York I interviewed! Working on shoots for Harper's Bazaar was a particular highlight for me. The other internship is with Wrights, a Public Relations firm in Melbourne. I am assisting with multiple accounts, administrative tasks and events support. I really enjoyed working on the Royal Melbourne Show and interacting with mainstream media such as Channel 9 and the Herald Sun. I applied for the role via Mumbrella. If I had my time again I would definitely speak to the Faculty's Work-Integrated-Learning team as I know they would have helped with internship opportunities earlier in my degree. I want to work in communications with a global luxury brand. I love branding and I look forward to seeing where it takes me. How has the University helped you? The theory I have learned in class have been incredibly applicable in industry. Having an understanding of the Australian media landscape; its threats and opportunities; as well as the broader context has been invaluable at work. Finally, taking breadth subjects in marketing was helpful.